You would never leave you kids in a car. Inflated bouncy castles are also dangerous when it's hot. Although heat stroke isn't usually a direct danger, high heat could be increasing risk for other injuries. What's not to love about a giant, inflatable room where kids can jump and scream in one safely contained location? The problem ... is that bouncy houses can cause heat stroke, especially this summer during our hottest year on record. 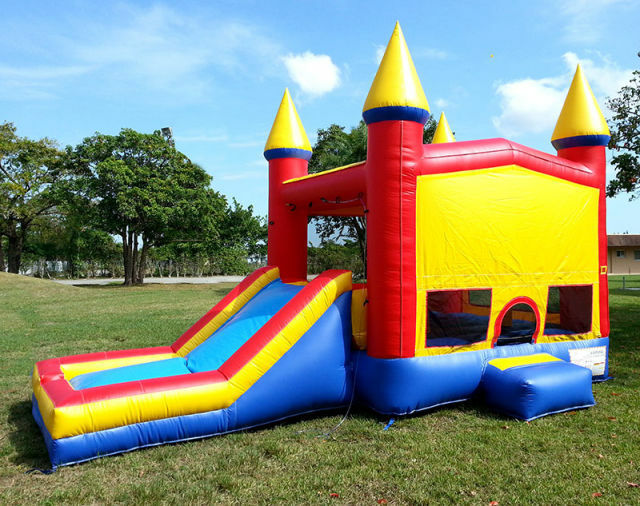 "One of the most staggering findings is that during the period of 1995 to 2010, a 15-fold increase was observed in the rate and number of bounce house injuries (roughly 5.28 injuries per 100 000 children in the United States annually)." Staggering, indeed. Mostly these were fractures, strains, and "other injuries to the upper and lower extremities."